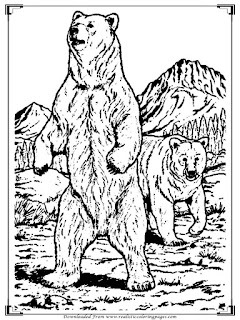 Bears are woolly mammal that can stand with both feet behind it. 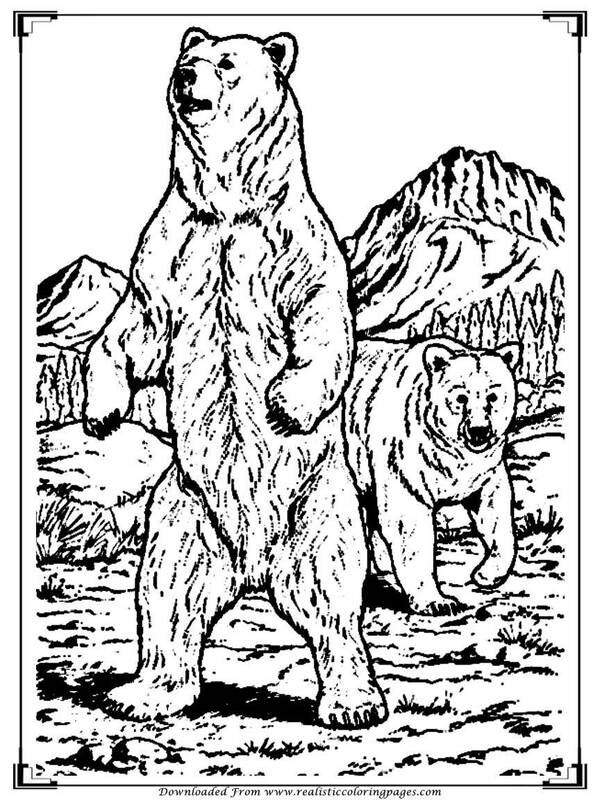 With a nose that is located in front of the long snout and ears are large and round making them one of the animals that have the smell and excellent hearing. 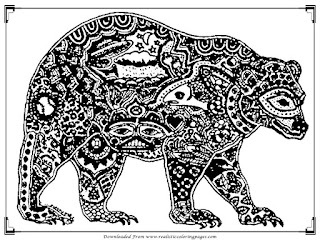 In addition, the bears also have keen senses of sight, they are not color blind. 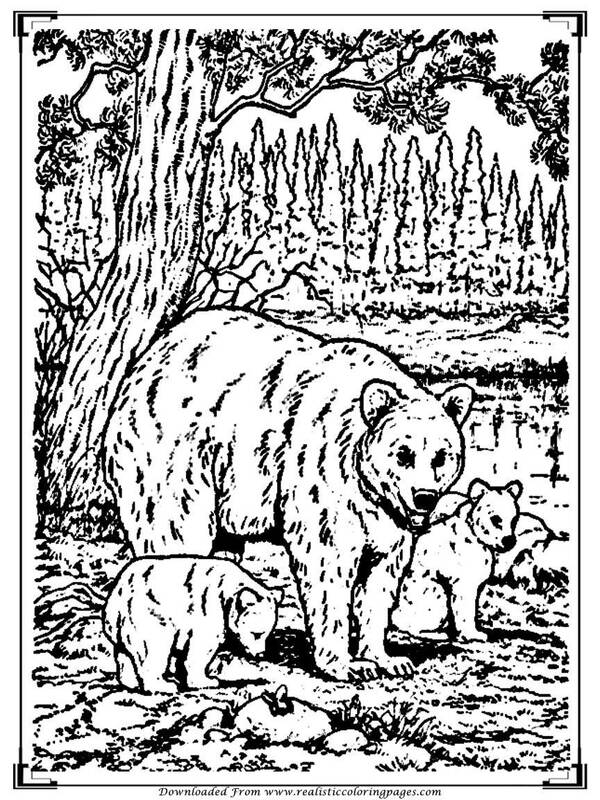 Quite some time ago I ever share pictures of bears to be colored by children on the post titled "Realistic bear coloring pages" and also post titled "Simple bear coloring pages" and today I will share some pictures of bears to be colored by adults. 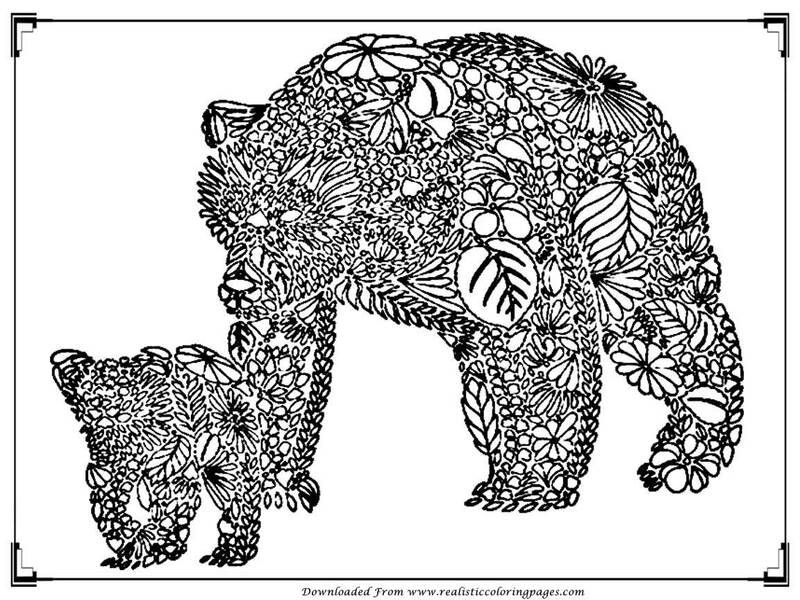 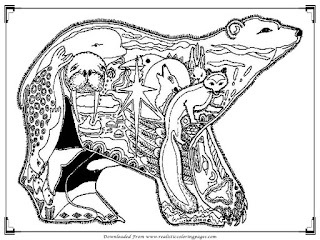 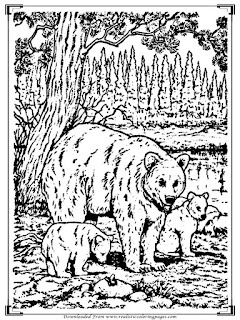 In this pages you can downloads 7 printable bear coloring pages for adult in portrait and landscape positions. 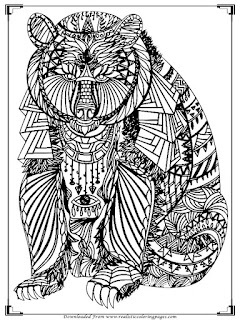 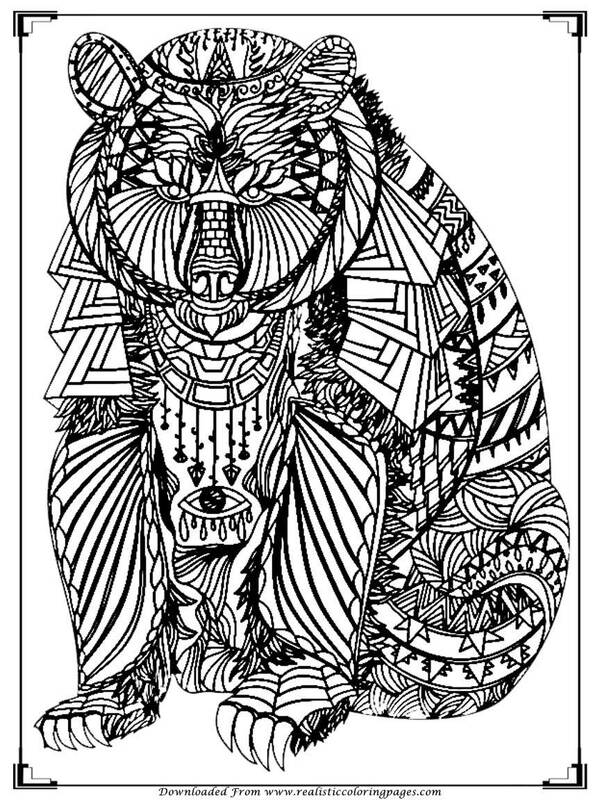 To download this free printable adults coloring pages you just need to click the images and then do right click and choose save image to your device. 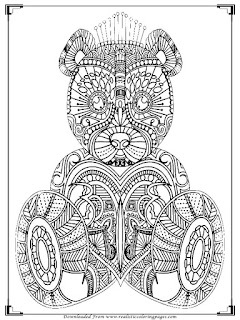 After the images saved in your device folder you can print it later and coloring them when you want some relaxations in your busy times.